This is one of those things that seems so obvious, it feels like someone should have done it before. After all, just last week someone finally got the idea to mod a Donkey Kong ROM so that Pauline could save Mario. That's exactly what inspired Kenna W., a professional animator, to mod a Legend of Zelda ROM to allow you to play as, well, Zelda. "For me, I played my first Zelda game when I was pretty young, and at the time, I thought the game did star Princess Zelda," Kenna writes. "I figured I'd get to play as a magical battle princess that saved her kingdom. The game was fun, but I was bummed out that I never got to play as Zelda." Likewise, 26 years ago, I thought it strange that the game was named for a Zelda but featured no playable character by that name. Kenna used a sprite editor to pump out the mod in about four days. The editor didn't allow for changing colors, however, which is why Zelda appears in a green dress. 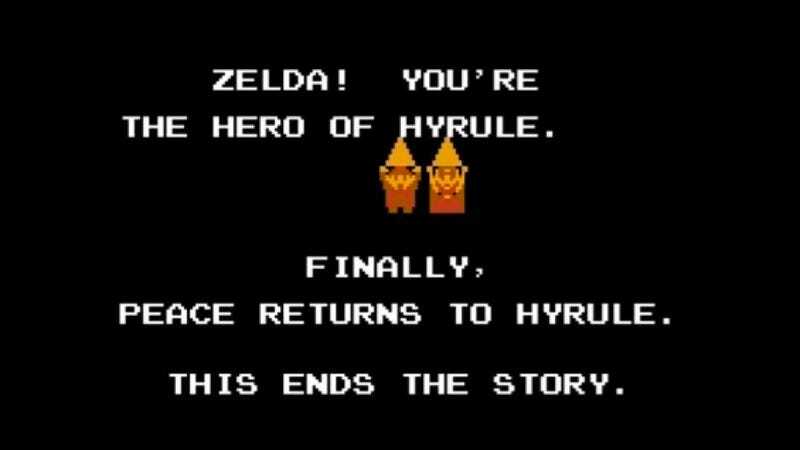 But the game's opening and closing scrolls also have been edited to completely flip the roles—Zelda is saving Link in this playthrough. She struggled with how to include Link. "In the end, I decided he's still Link. Even though he's seemingly powerless to leave a simple room." The game is not a ROM unto itself—Kenna didn't want to run afoul of copyright problems. She created a patch for the Zelda ROM, available from many fine ROM sites you may already know. Both the patch and instructions for running it are available at the link. If you are playing on a Mac, use Nestopia and this tool to patch the file.